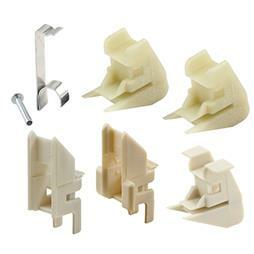 H 3719 - Sash Balance End Guide Kit, Most common tops and bottom guides, 1 assortment per pkg. 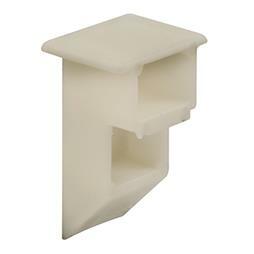 H 3757 - Sash Balance End Guide Kit, Contains 2 top & 2 bottom guides, 1 set per pkg. 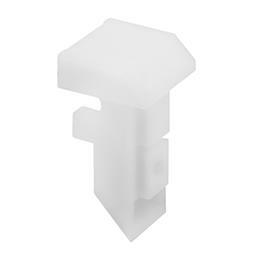 H 3837 - Single or Double Hung Window Sash Cam, Top Mount, 2 per pkg. H 3838 - Single or Double Hung Window Sash Cam, Top Mount, 2 per pkg. H 3898 - Single or Double Hung Window Sash Cam, Top Mount, 2 per pkg. 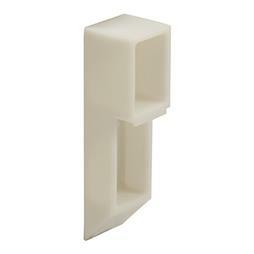 H 3904 - International Lift Hook for Overhead Balance, 2 per pkg.